The easiest of all the arguments to make. When it was added to Disney’s California Adventure, the wait times for Radiator Springs Racers was pushing three to four hours. People entered the park and headed straight back to Cars Lands to go on the attractions first thing in the morning. People on the East Coast were envious that Disneyland had such a popular attraction. It’s a long flight, especially with smaller children, or a multi-day car ride to Los Angeles and get to Disneyland for the Cars Land Experience. It’s easier, in their mind, to build a second Cars Land in Walt Disney World. It’s a shorter flight/drive to Orlando than to LA. Hollywood Studios is view as a “dated” park. The newest attraction is Toy Story Midway Mania which was opened in 2008. There are a lot of “dated” attractions: Indiana Jones, The Great Movie Ride, Backlot Tour, and Lights, Motors, Action. 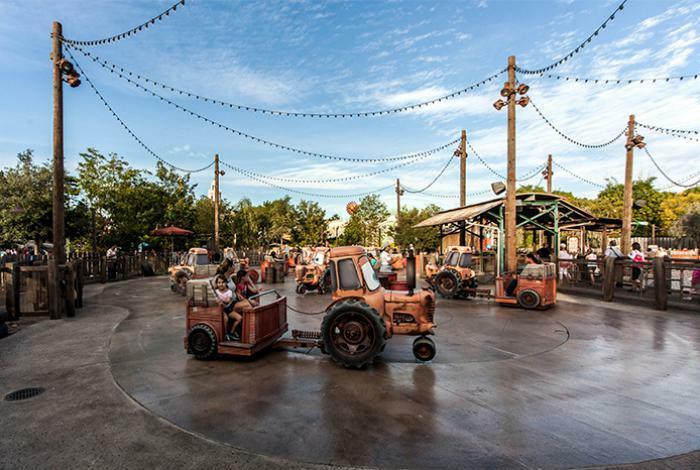 Some of these attractions could be eliminated to make room for a new Cars Land within the park. Expansions/new additions to the park cost a lot of money usually in the billions. Disney has spent a lot of money in the last decade on converting Mickey’s Toon Town Fair into New Fantasyland at Magic Kingdom and is in the process of converting Camp Minnie-Mickey into Avatar Land. The question is does Disney want to spend even more money to convert parts of Streets of America into an expanded Pixar Place. “Well, Dad, Universal Studios continues to add attractions and lands to their parks just down the street. Disney has to keep up.” Yes and no. Yes, Disney needs to keep up with what Universal is doing. But let’s look at the bigger picture, Universal has done all of this expanding and the end result is their parks still rank behind all four Walt Disney World parks in terms of attendance. Attendance at the Universal has made big jumps and will make another big jump this year but at some point those big jumps will level off. There is a good chance that they will remain behind WDW in attendance numbers. But that’s not to say Disney shouldn’t change. They need to change to keep the parks the fresh. After two big expansions/renovations, Disney may want to sit tight for a while before doing any new expansions/renovations. There are two main rumored projects at Hollywood Studios: Cars Land and Star Wars Land. Disney, in theory, could add both. However, that would cause one of its parks to under renovation for a significant period of time. I would doubt Disney would do both renovations at the same time because that could completely shut down that half of the park which could hurt attendance numbers in the short-term. Something that could help Cars Land’s case for being added to the parks over Star Wars Land is the success of Star Wars Weekends. I was talking with my wife last night about Star Wars Land/Weekends and she brought up a very good point. It makes sense from that angle and it was one that I hadn’t thought off. But in some circles, it’s two potentially competing projects and I think only one will be added. At some level, there needs to be some differentiation between Walt Disney World and Disneyland when it comes to attractions. Walt Disney World will always have more attractions than Disneyland simply because it’s four parks compared to Disneyland’s two. However, there needs to be something that separates Disneyland from Disney World. 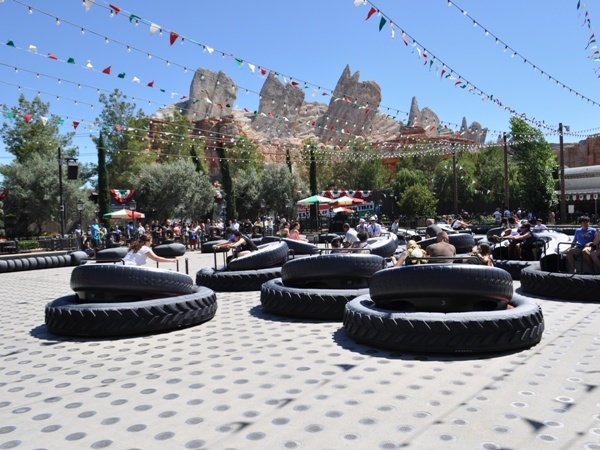 Right now, Cars Land is a major difference. It gives people, who normally wouldn’t make a trip to Disneyland, schedule that vacation to Disneyland instead of making their usual trip to Walt Disney World. If you build Cars Land in Walt Disney World, there could be fewer vacations (especially from the east coast), scheduled to Disneyland which could hurt Disney’s overall bottom line. To be honest, I like the fact that parks have different attractions. The two parks shouldn’t be the same. It gives the park their own identities. It gives people a reason to go to the different resorts. And before last night, my call was to build Star Wars Land to keep these separate identities for Disneyland and Walt Disney World. However, my wife may a really good case for NOT building Star Wars Land. Pieces of Cars Land should be transported east to Walt Disney World and to Hollywood Studios. I don’t think a complete replica of Cars Land Disneyland should be built in Orlando. 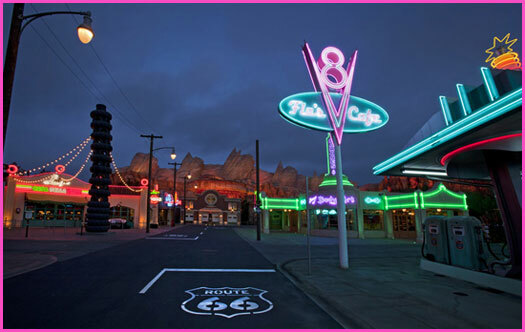 I would bring Radiator Springs Racers and Flo’s V-8 Cafe to Hollywood Studios. I move Pizza Planet from its current location by Mama Melrose into an expanded Pixar Place. For a third attraction, I would love to see a ride based on the “door scene” from Monsters, Inc. where Sully, Mike, and Boo are trying to get away from Randall. I would also add table service restaurant themed around Gusteau’s Restaurant from Ratatouille. Maybe Remy could find his way from Chefs de France in EPCOT to this new French-style restaurant. There you have it. I would bring the best parts of Cars Land to Walt Disney World as part of an expanded Pixar Place. There is a place for Cars Land at Walt Disney World just not a complete replica of the Disneyland Experience. There are plenty of Pixar movies that could part of an expanded Pixar Place many did not make my version of this potential/hypothetical expansion. What are your thoughts on Cars Land coming to Walt Disney World? Do you want to see it added? Would you rather see Star Wars Land instead? Or both? Let me know what you think.